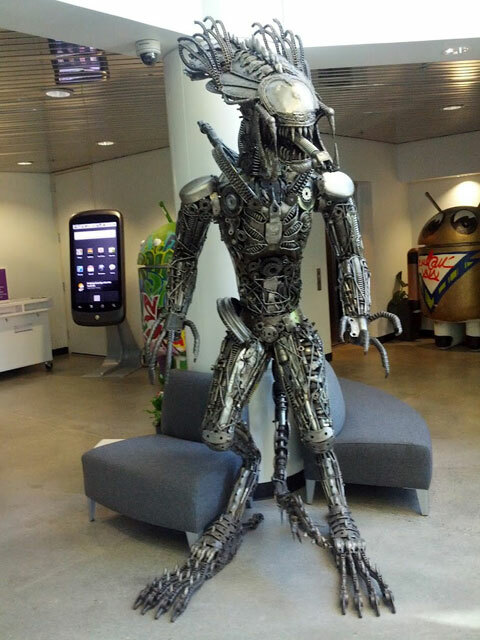 Louis Gray shared several pictures on his Google+ page of Android robots with also this Predator looking robot in the middle. I am not sure if Google is getting ready for some sort of announcement but Louis did say, "The Robot Invasion Is Coming #android #lifeatgoogle." Hide your children, hide your wives. These robots are incredibly large and unique, to say the least. They certainly won't fit next to the Android figurines I have at home. Best I leave them here.